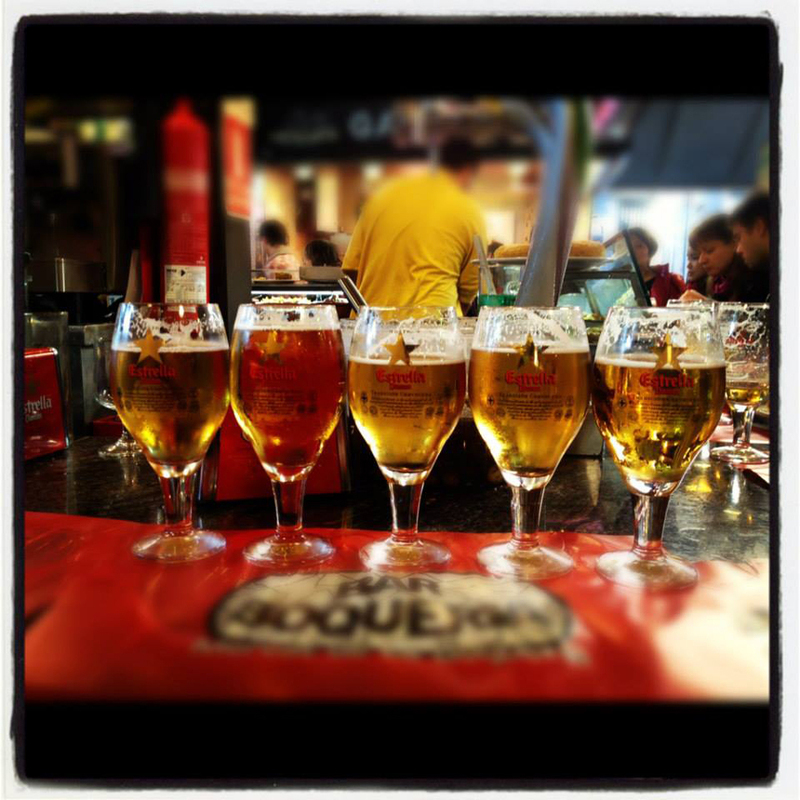 We're often asked for advice on where to go when in Barcelona, seeing as it's our home-town. We give lists upon lists of places to visit. Happily, The Irish Times thought it would be a list to publish in their Saturday Magazine. Check it out the link below, but we've also copied in the content for you too. Enjoy Barcelona - we know you'll fall in love with it. "There is no shortage of wonderful places to eat and drink, but here are some highlights from the city that we love so much, writes Vanessa Murphy, co-owner of Dublin’s Las Tapas de Lola. As co-owners of our own tapas restaurant in Dublin, [Las Tapas de Lola], and with Anna from Barcelona (and Vanessa an avid lover of the city having lived there in the early 1990s), we receive a lot of requests from customers for places to visit. As a city, there are simply too many fantastic places to sample – from the tiny family-run bar down a dark narrow street in the Barrio Gótico to the splendour of the Adría bars and restaurants. But you will be guaranteed some of the best tapas in the world. We’ve listed some of our favourites. Most important is don’t stop yourself popping into any one of the wonderful bars you pass while wandering the streets as our list is only the very tip of the iceberg. A must is a glass (or bottle) of cava in Can Paixano (the Champanería) in Barceloneta, (Calle Reina Cristina) www.canpaixano.com. When we met, we discovered we both had a love for this place. It’s an institution in Barcelona, Anna has been going there since she was a child; Vanessa lived in the place in the 1990s and we return there on every visit back home. You order cava by the glass or by the bottle and a delicious bocadillo (sandwich) with it. While still in Barceloneta, there are a couple of other places to try. Vermouth (or vermutillo as it is affectionately called) is very popular before lunch throughout Catalunya. It’s simply vermouth (served on ice with a slice of lemon or orange, an anchovy stuffed olive and sometimes with sifón to water it down). It’s enjoyed with various conservas – mussels, cockles, razor clams, etc. If you’re not sure try their plato combinado. But our favourite place of all is Espinaler, not walking distance from the city centre (near where Anna grew up), but the mother of all vermouth places. (espinaler.es – there are a few outlets). You will find nearly all vermouth bars use their sauce for the conservas. If you are at Quimet i Quimet on that side of the city, then you could try one of Albert Adría’s places. We’ve just listed two below; but there are more. Albert is brother to Ferran Adría of the El Bulli restaurant, now an academy just outside Barcelona and known for its molecular gastronomy. When in Barcelona, you can’t miss a walk around La Boquería. Due to its location right on Las Ramblas it does attract a lot of tourists, but the visit is well worth it with all its veg, fish, meat, nuts, sweets, you name it stalls. Interestingly all the razor clams in the market come from Ireland! There are quite a few bars within La Boquería and its environs all using fresh seafood and fish straight from the market, but two stand out for us and we try to make a visit there as often as possible: Kiosko Universal (inside on the left), try their gambas or calamares a la plancha (prawns or squid) or their salteado de setas (sautéed mushrooms). La Boquería Bar (down the back centre/right), try their plato combinado (mixed fish platter) to sample a bit of everything on offer! The Born is a stunning barrio to simply wander the streets and visit all the beautiful boutiques, bars, cafés and restaurants. It is also home to the Picasso museum and you can visit the Born Market where they have uncovered remnants of the old city which are on display. 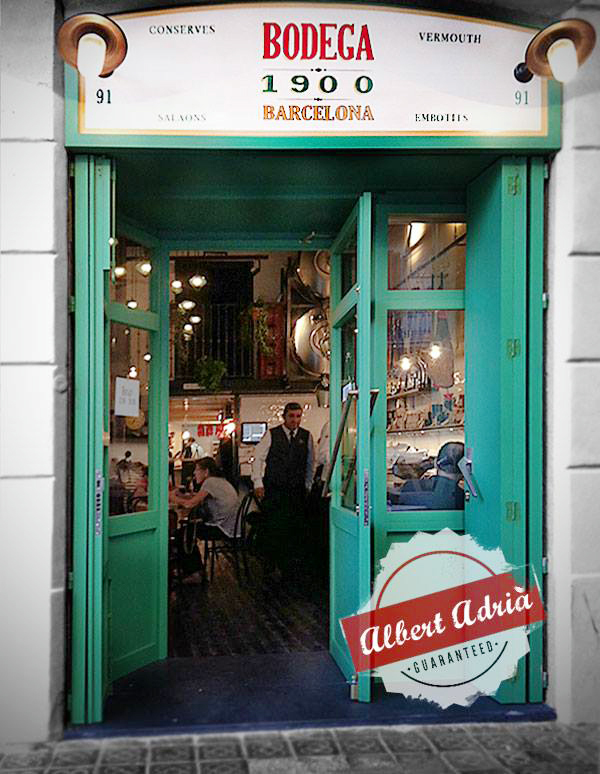 Head to the Paseo del Born where there is a lovely cafe/bar called El Born – sip a carajillo here and read the paper. If heading away from the sea and above Plaza Catalunya, then there are a couple of places to check out. As you will see, there is such variety and so much to see in Barcelona. What we’ve mentioned is really only a tiny fraction of what’s on offer. Advice we give all our friends and family when visiting is to remember to always look up when walking around – the buildings and the city are so beautiful. It’s one city we would live in tomorrow in a flash. Happy tapeo! Aer Lingus and Ryanair run daily flights from Dublin direct to El Prat, Barcelona airport all year round. Aer Lingus flies from Cork May-October on Wednesdays, Fridays and Sundays. Parc de Montjuïc is another area above Barcelona with parks, museums, sports facilities and the Olympic stadium. You can catch the Teleferico (cable car) from the port and enjoy the amazing views. The aquarium – one of the largest in the world – is located at the port. You could wander here on the way to or from eating in Barceloneta! Parc Güell is a UNESCO world heritage site and was designed by Gaudí (the famous architect who also designed the Sagrada Familia in Barcelona). It’s where you can see some of his wildest work. Museo de la Ciencia Barcelona’s science museum is a fascinating visit for families with kids. We’ve given an indication below of an average price always best to check out the offers online.